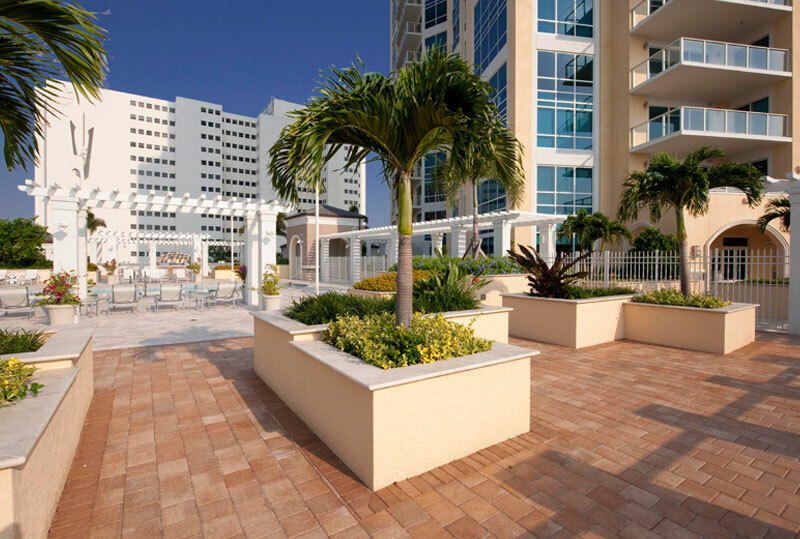 400 Beach Drive is an urban streetscape set with decorative pavers, lush landscaping, pedestrian lighting and contemporary site furnishings. 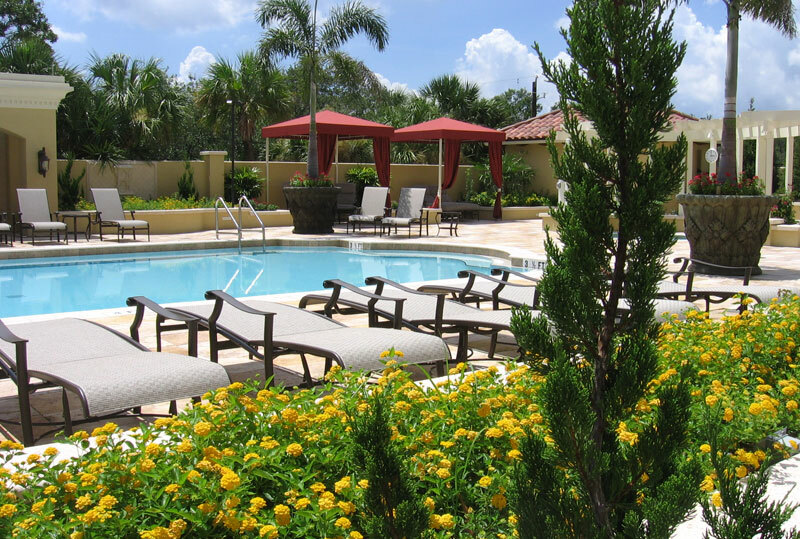 The amenity level features pool, spa, fountains, lawn and free-standing arbors. 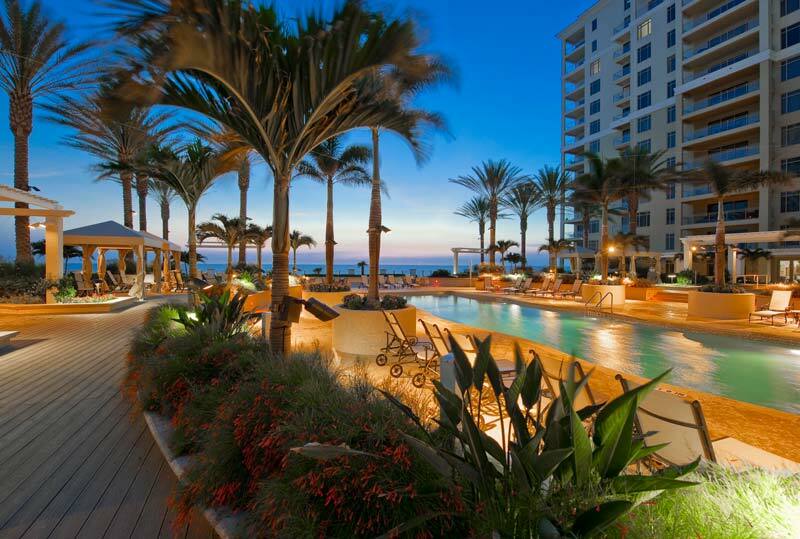 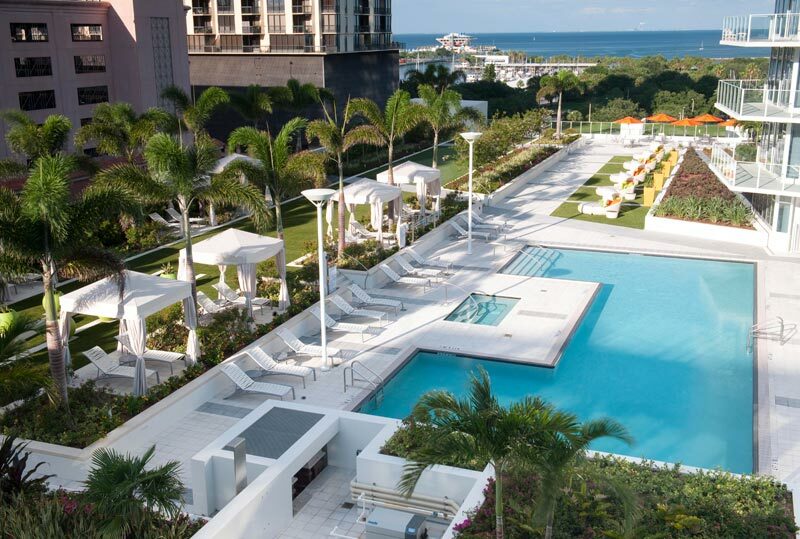 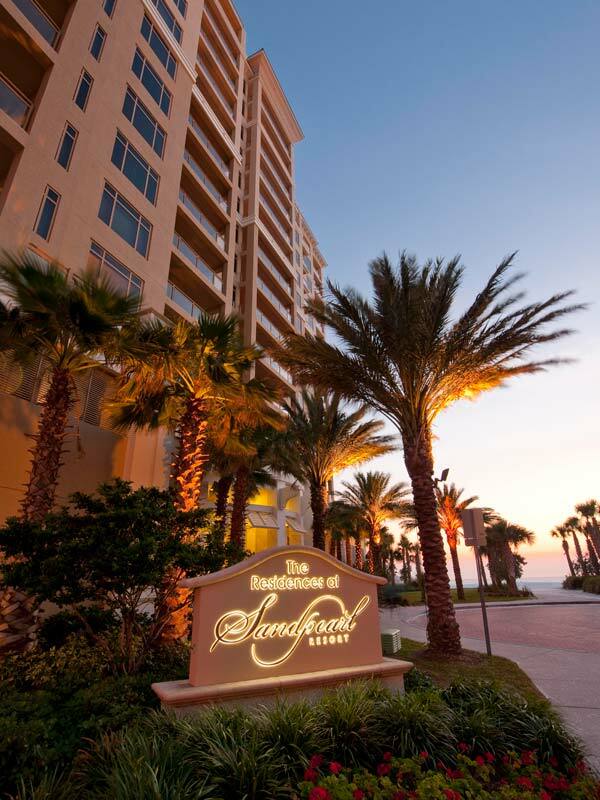 Located on St. Petersburg’s popular street, 400 Beach is in the heart of the city with amazing views from its 29 stories. 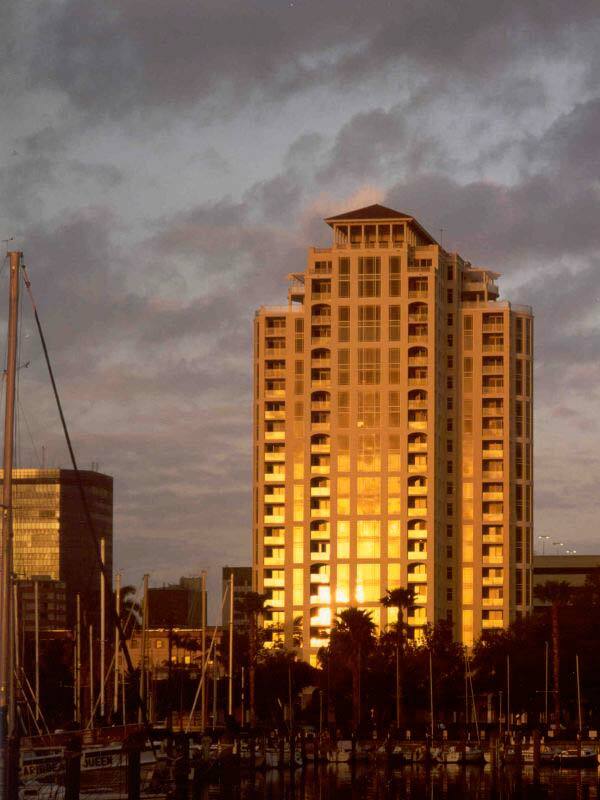 The Bellamy is located on Bayshore Boulevard overlooking Tampa Bay. 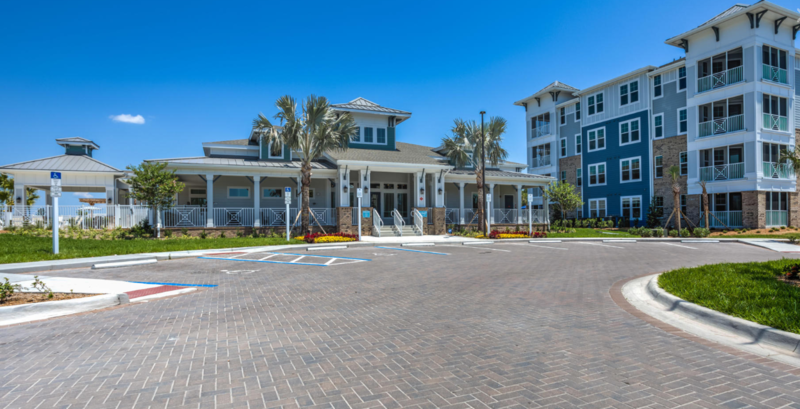 The building was sited to fit within the safe growing limits of mature live oak trees allowing the building to feel nestled into the site. 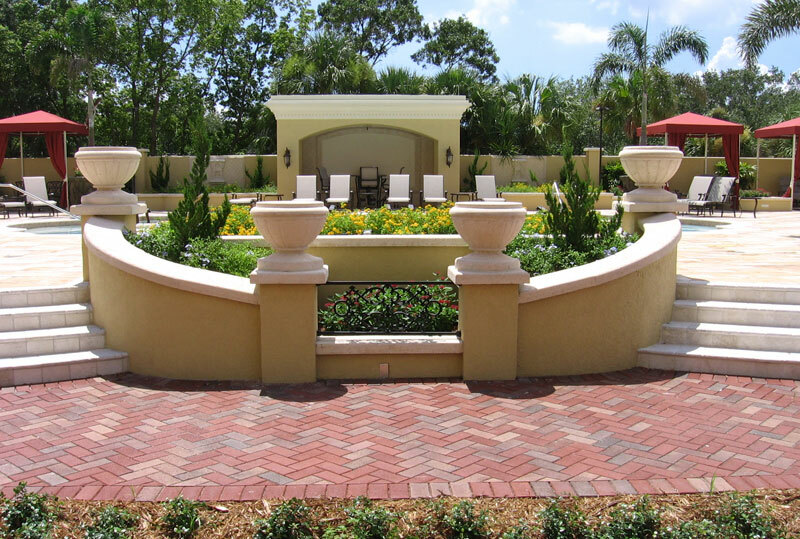 The second level amenity garden is designed in the formal Italian villa style, replete with formal gardens, urns and sculpture. 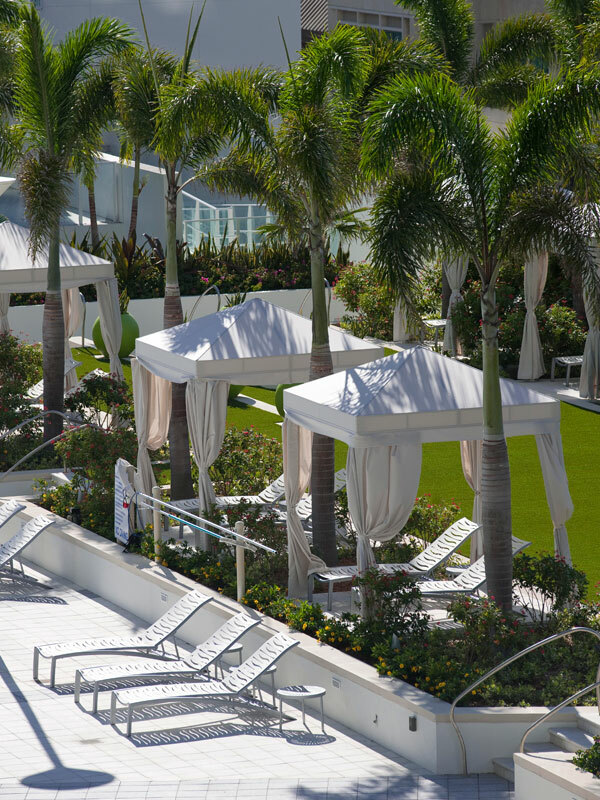 Private spaces are found throughout the garden as niches, cabanas and shade structures. 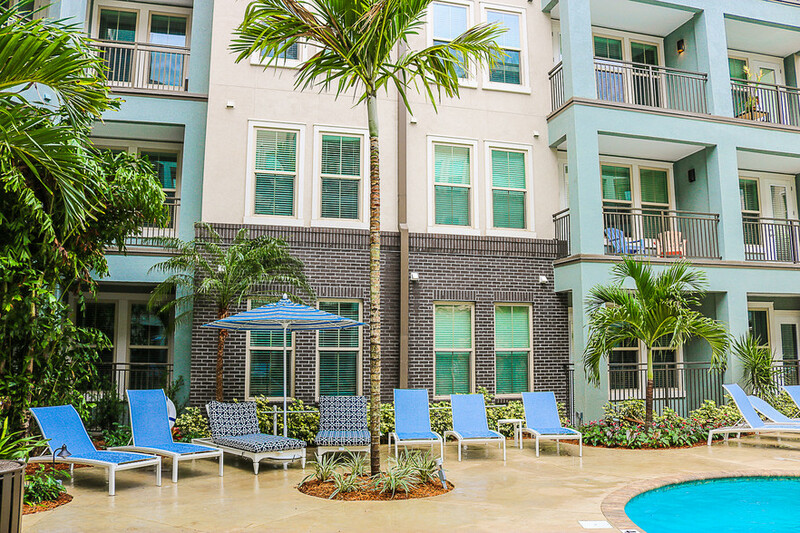 The Boulevard Apartments, located on Seminole Boulevard in Largo, FL, maximizes a small space with big amenities. 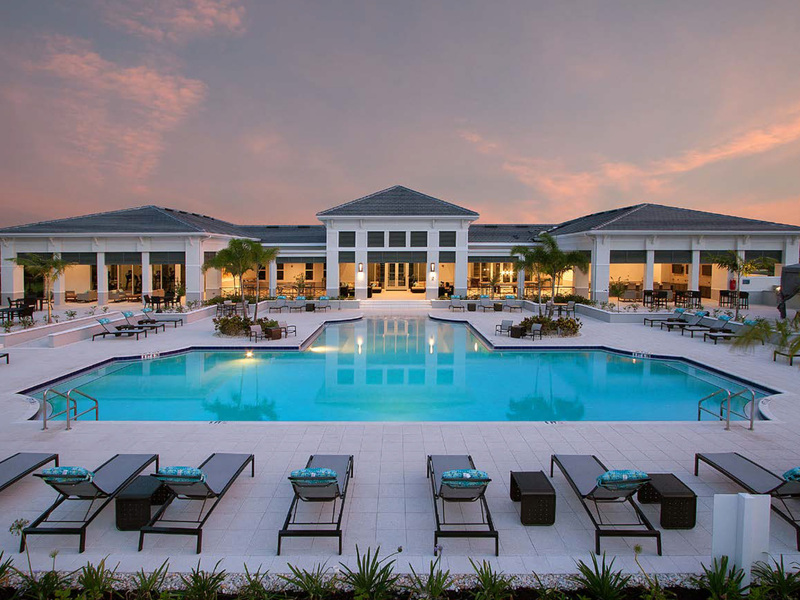 A resort-style pool, screened gazebo, SwimSpa, fire pit, lake with fountain and a covered TV/gathering space all make this complex modern and lush. 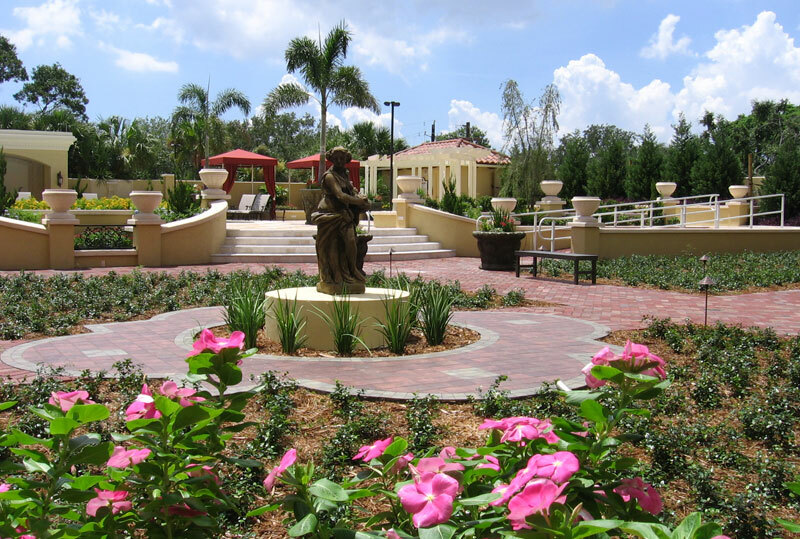 Our services included landscape, hardscape, amenity and site design as well as signage design for entry to the property. 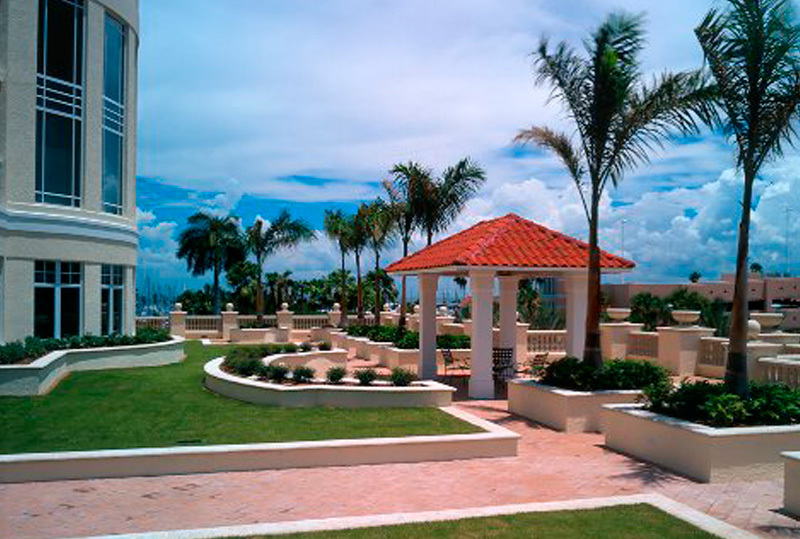 Pathway, feature and security lighting, plus irrigation design, were also included. 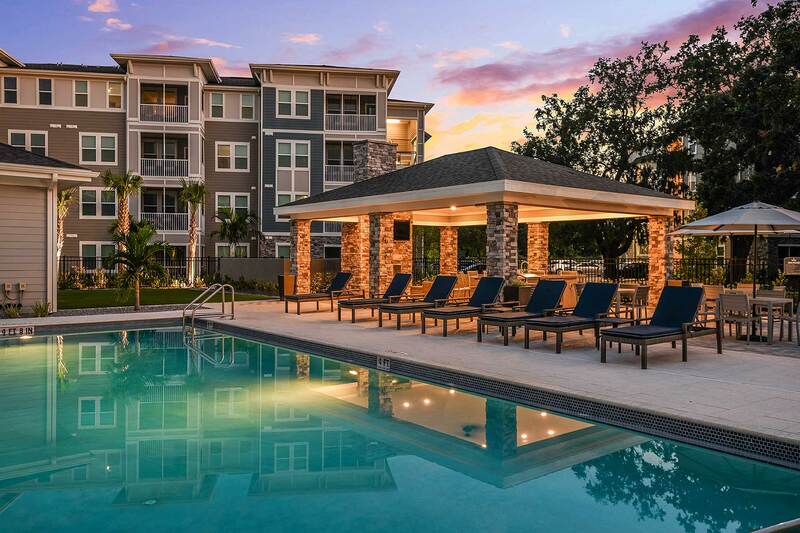 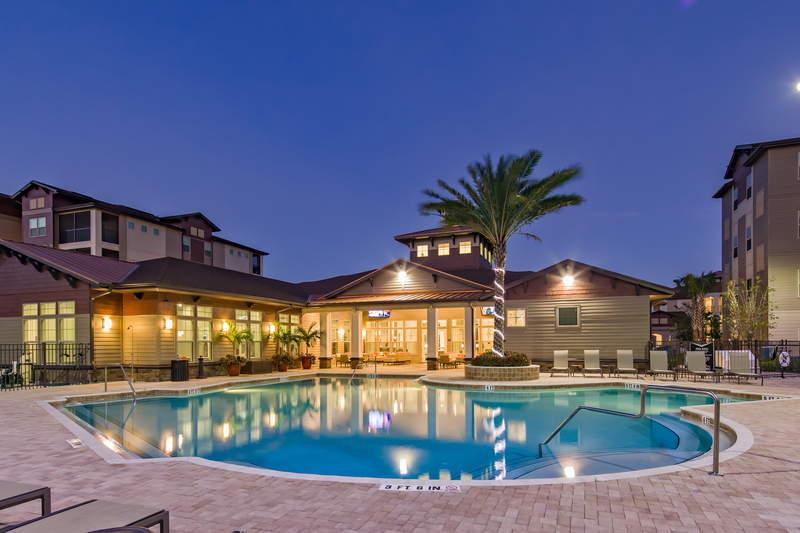 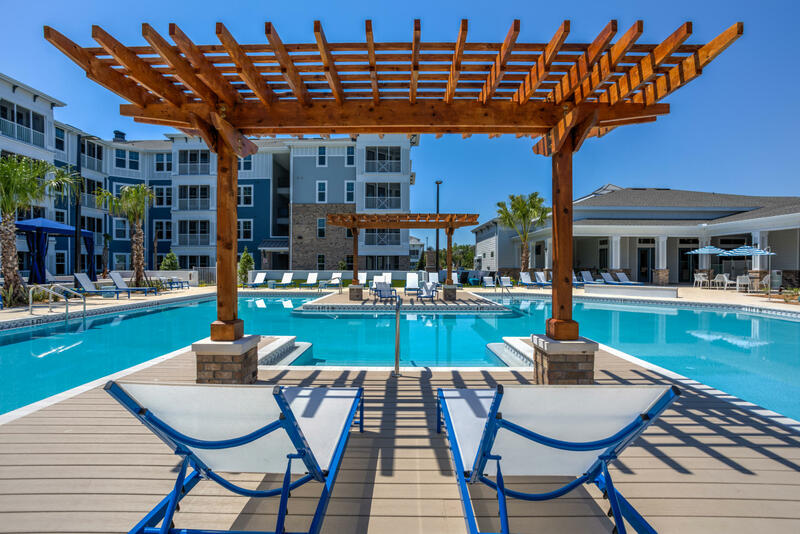 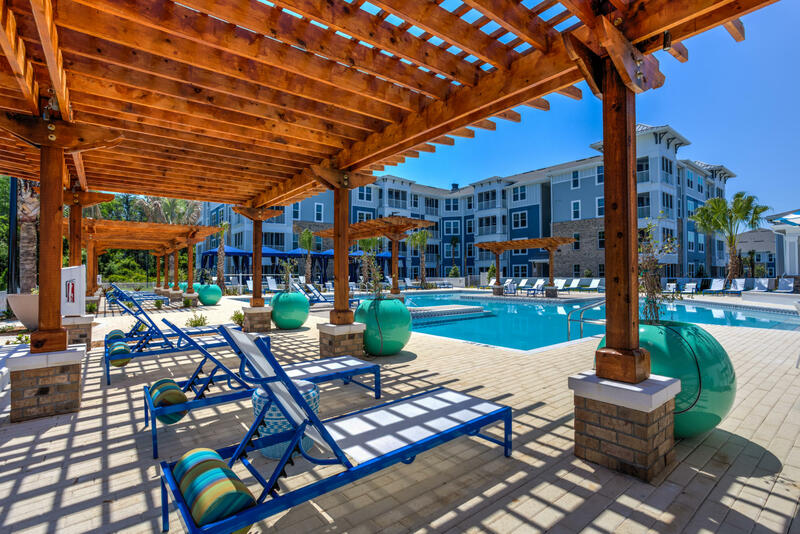 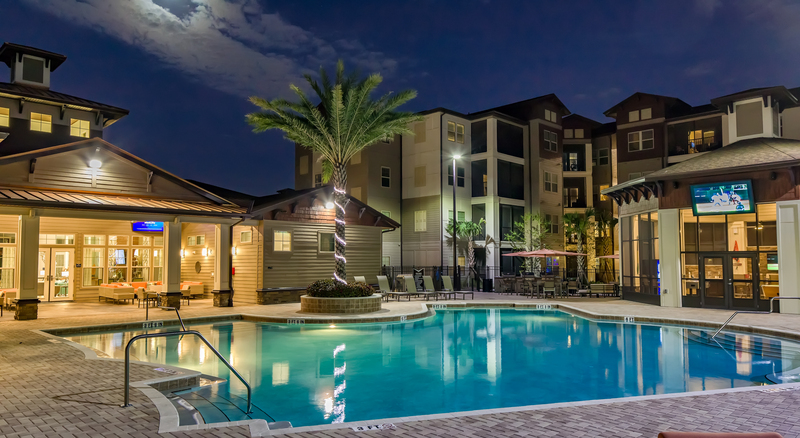 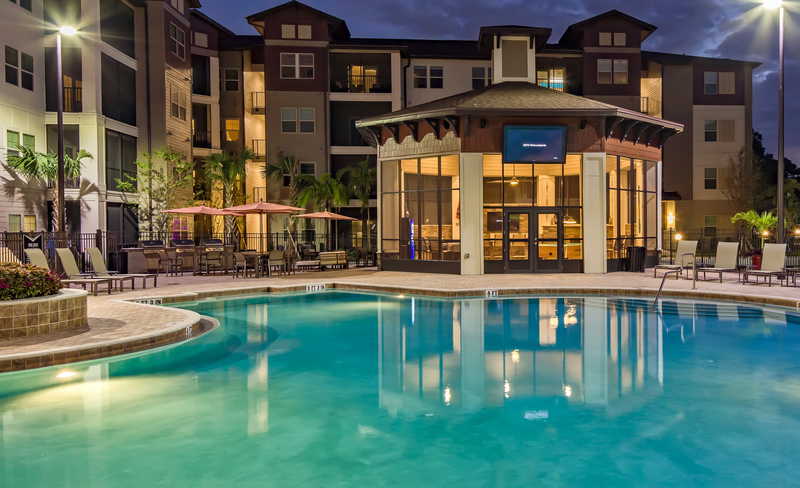 The Dunedin Commons Apartments features many resort-style amenities. 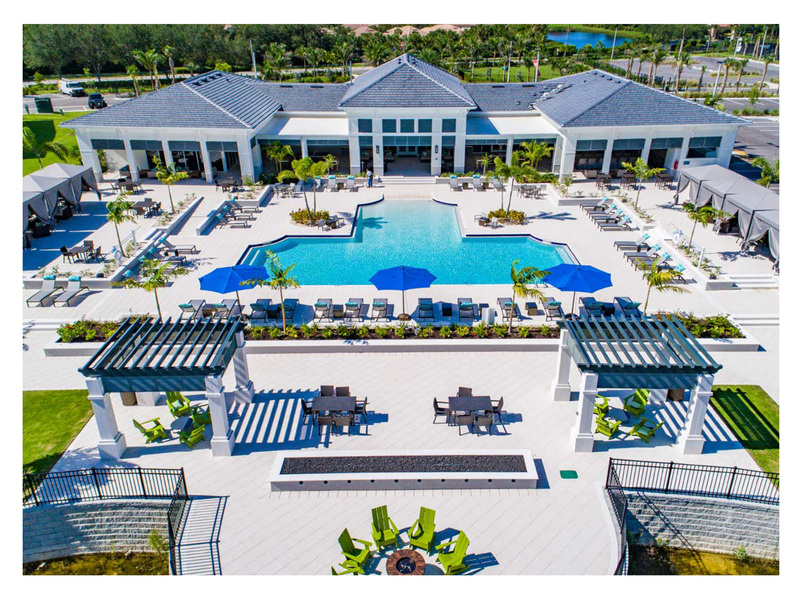 These include an outdoor lounger, beautiful walking trails, oversized pool with infinity design, lush landscaping, a dog walk, pickle ball and bocce courts, open air cabanas and a central fire place. 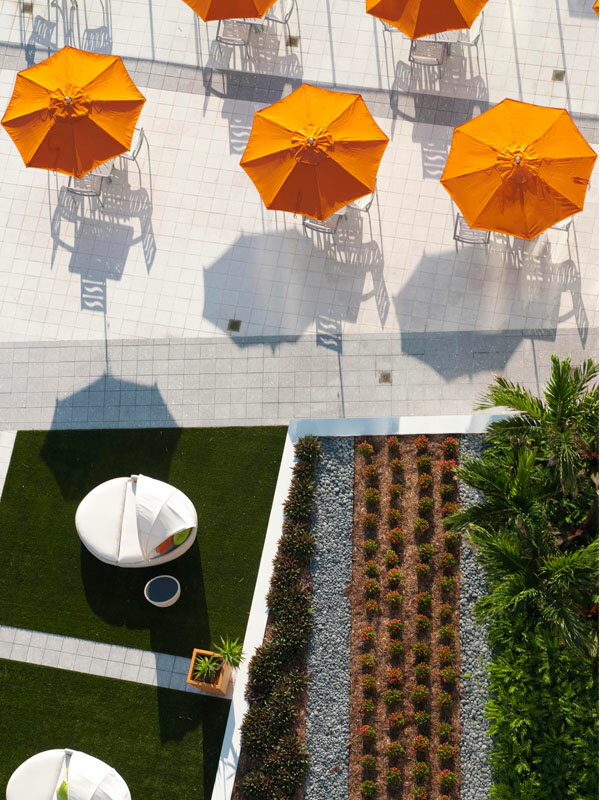 BDG also developed the signage, irrigation and lighting design. 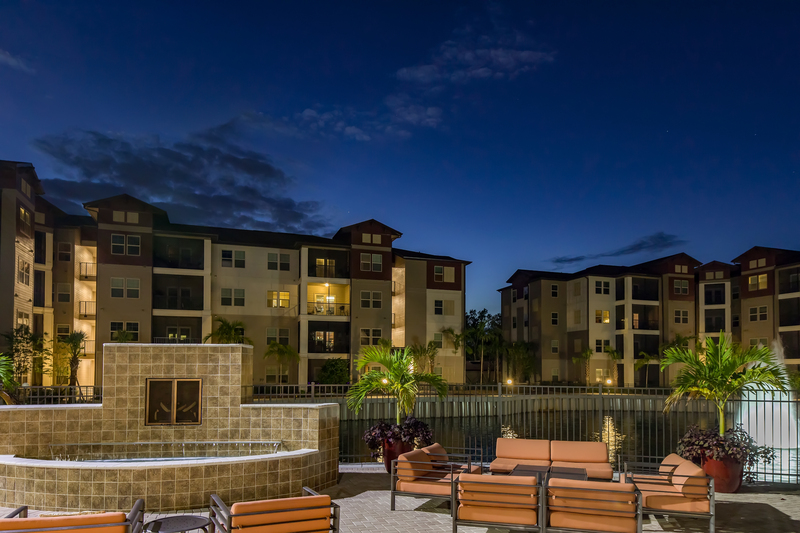 This is a centrally located, high-end apartment complex, where renters are expecting the best of the best. 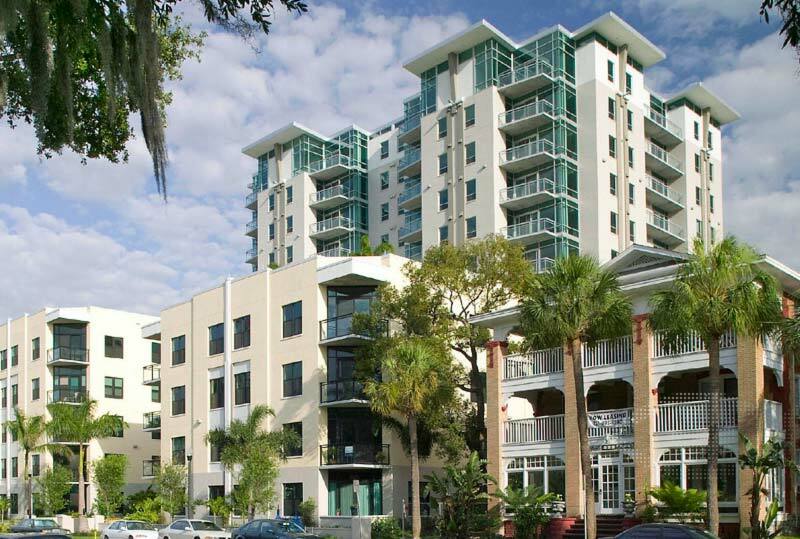 Florencia, in downtown St. Petersburg, set the standard for multi-family living on the city’s waterfront. 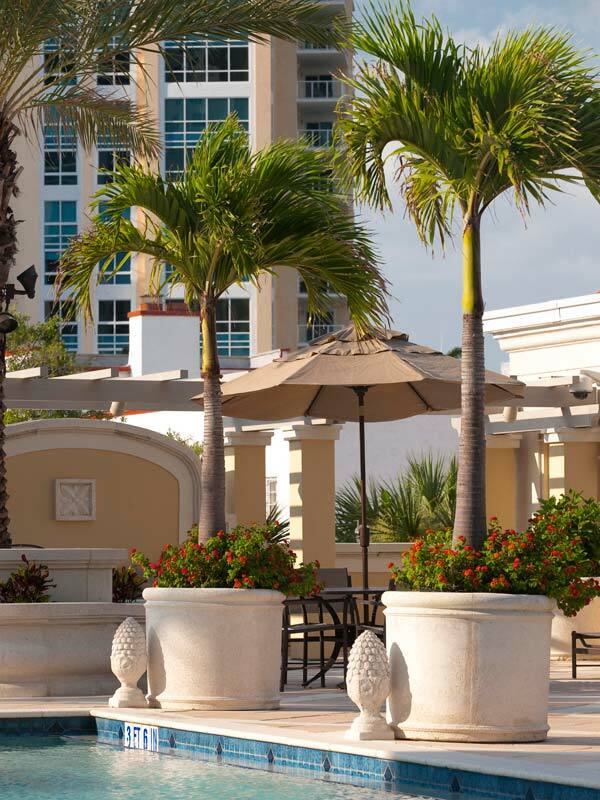 Large Medjool Palms line the block with tropical flowering plants accenting the contemporary Mediterranean architecture. 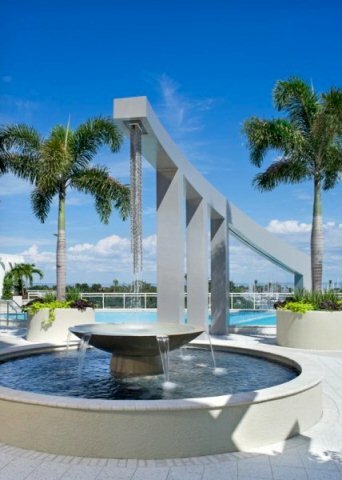 A niche fountain can be enjoyed at street level and commemorates the history of the site. 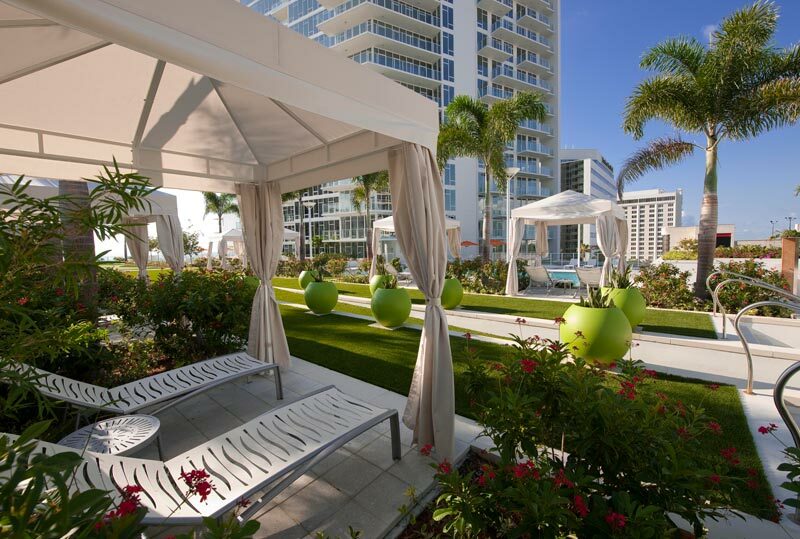 The amenity level features gardens, a swimming pool and open green space. 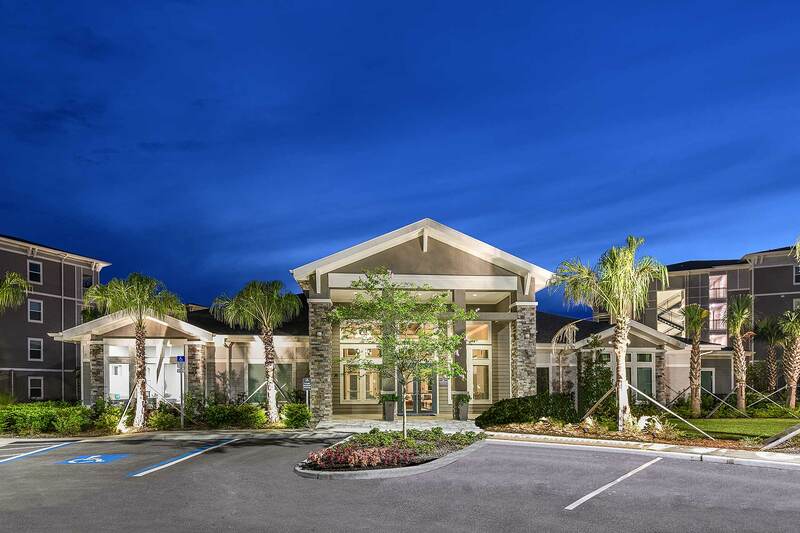 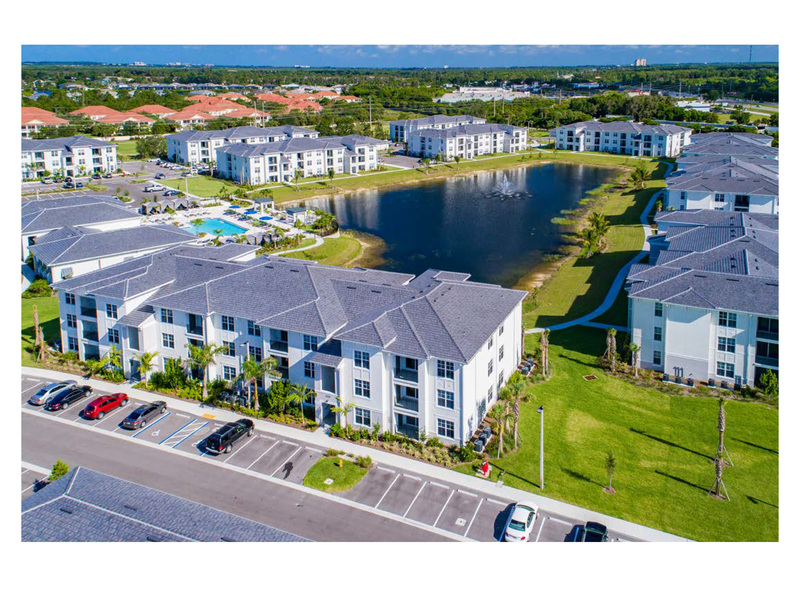 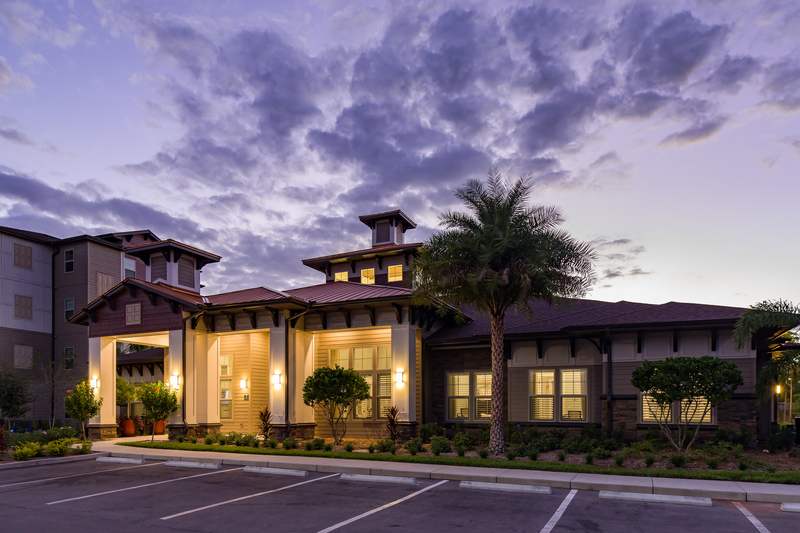 Nestled in the beautiful master planned Bexley community in Pasco County, FL, Lakeside Walk apartments is surrounded by rural beauty. 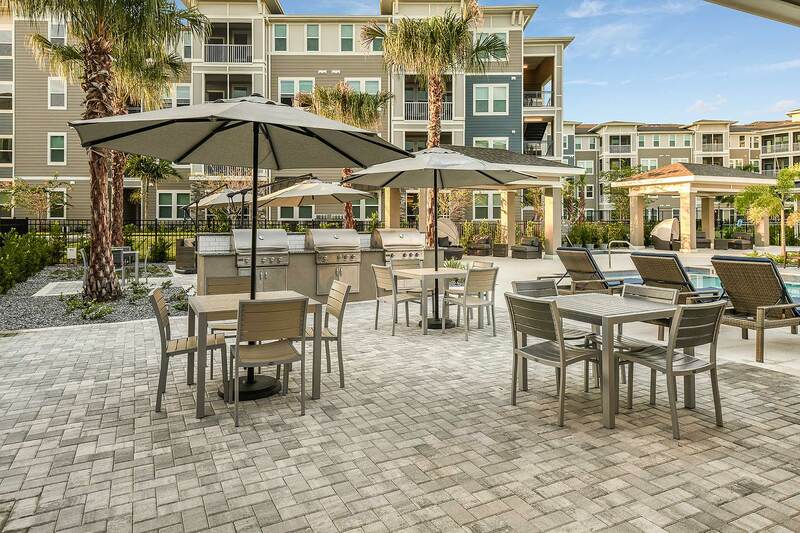 Enjoy the planned recreational trails, play in the community park or grill poolside. 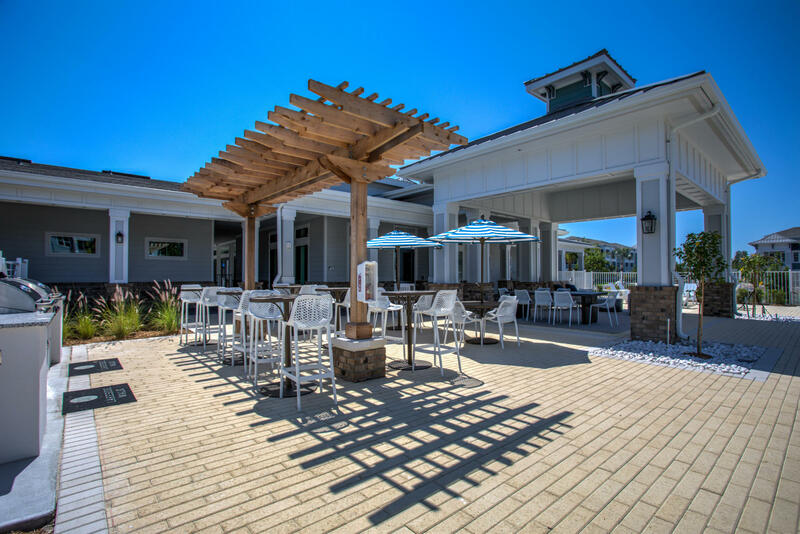 Lakeside Walk has premium amenities including a large pool, private cabanas, spacious clubhouse, fire pit and more. 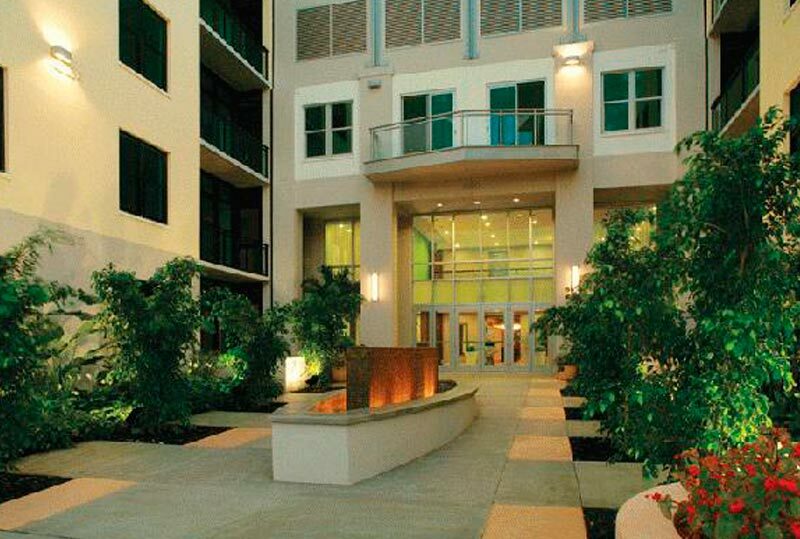 BDG provided master site planning services, along with landscape/harscape design and a lighting and irrigation plan. 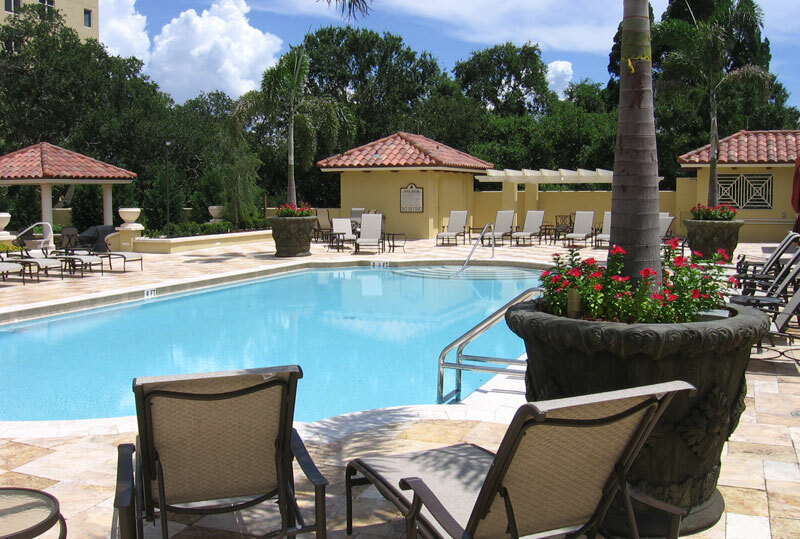 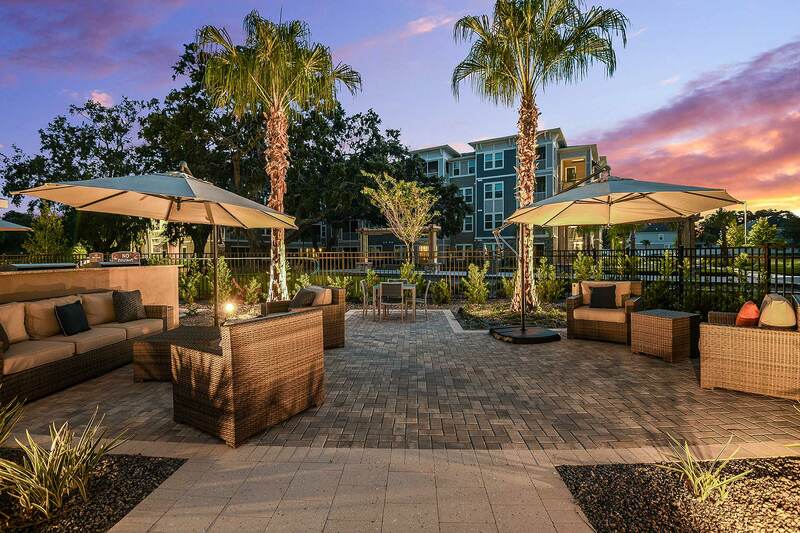 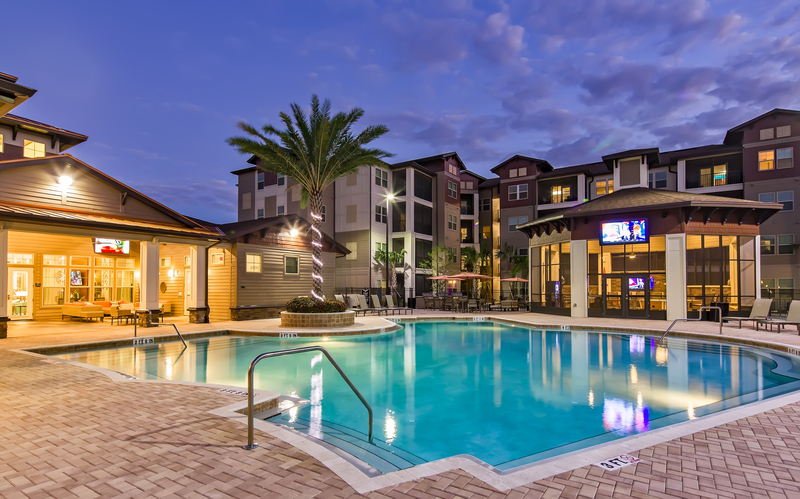 Novus Westshore Apartments are located in the heart of South Tampa. 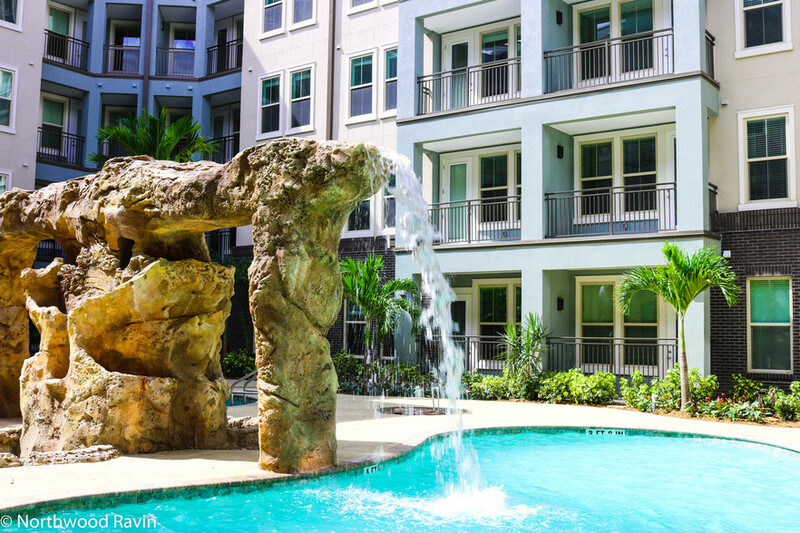 While the pool is the center for the amenity, the rock water features are unique to the project and give it a more natural setting. 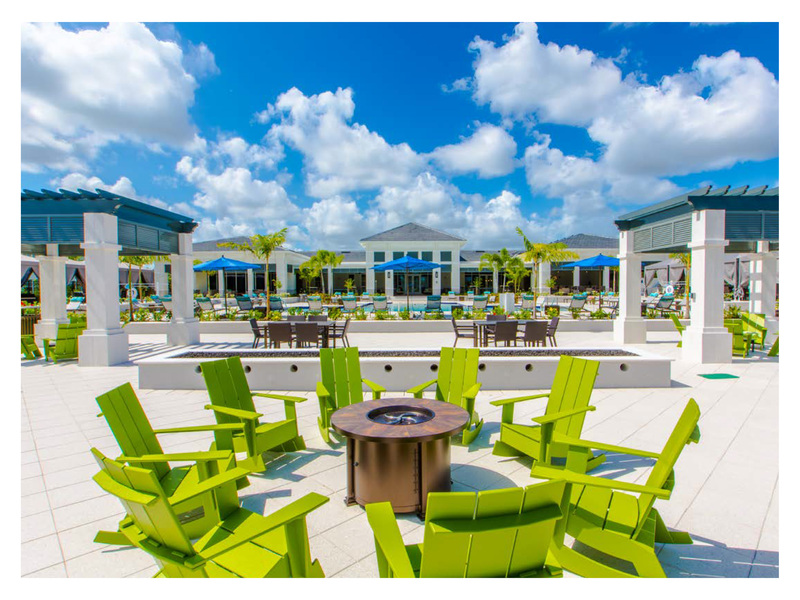 A courtyard with fire-pit, outdoor gathering spaces with extra lush landscape, hot and cold plunge spa, poolside cabana lounge, and a pet park are all unique additions to this community. 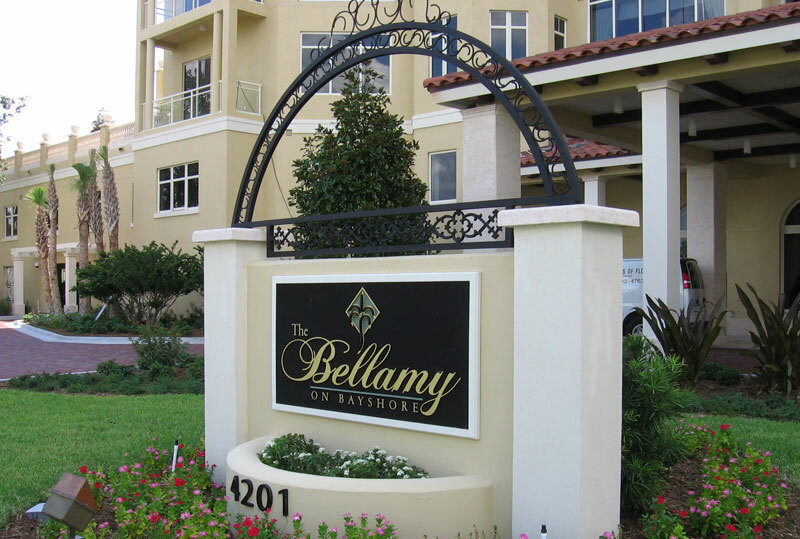 BDG also completed the signage design for the entry to the property. 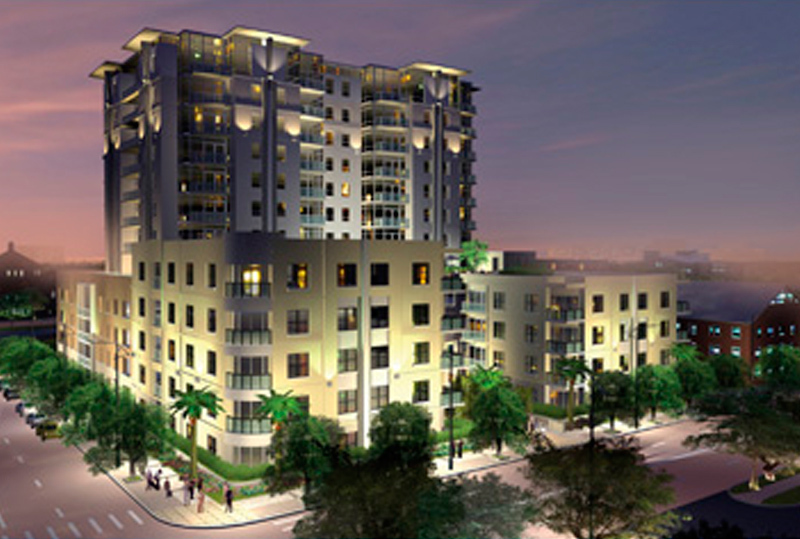 Ovation, in downtown St. Petersburg, is contemporary architecture coupled with estate-size units and luxury amenity design. 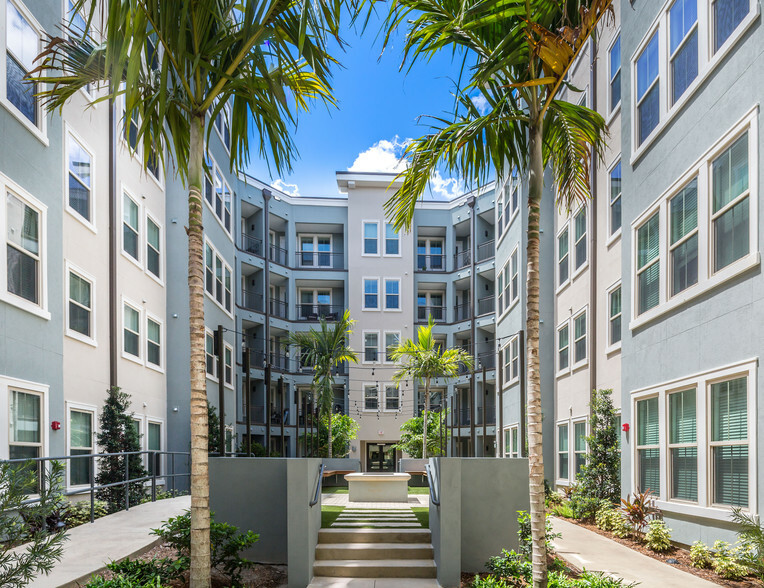 The street-level landscape accentuates the building design while responding to the overall circulation and traffic flow of retail and city life. 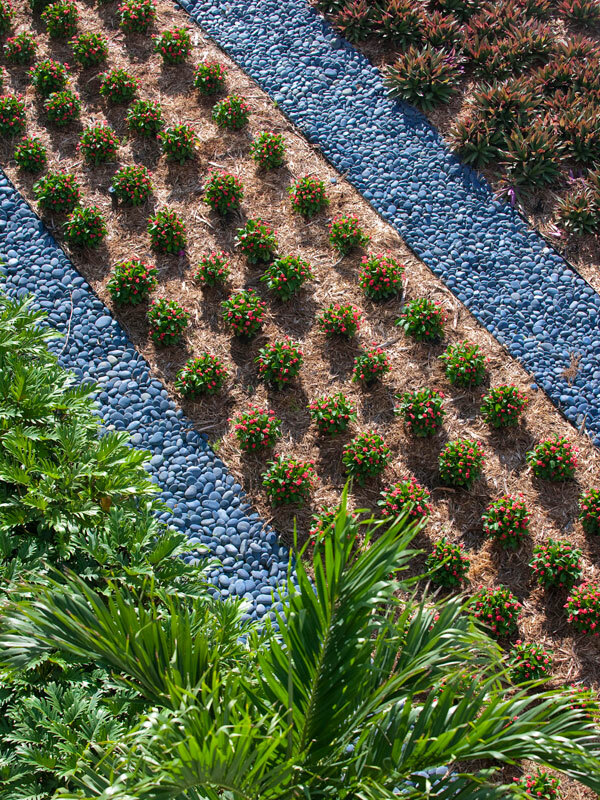 Eye-catching paving materials of unusual hues incorporate recycled glass along the walkways. 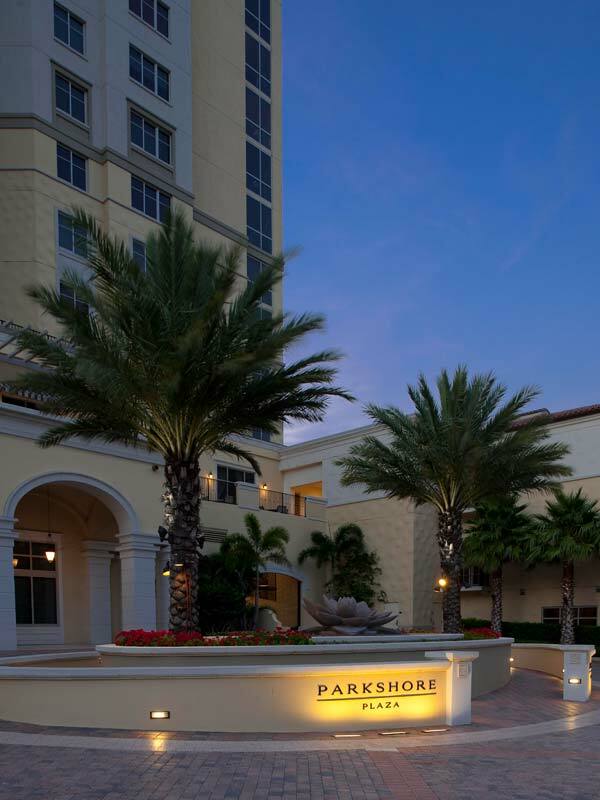 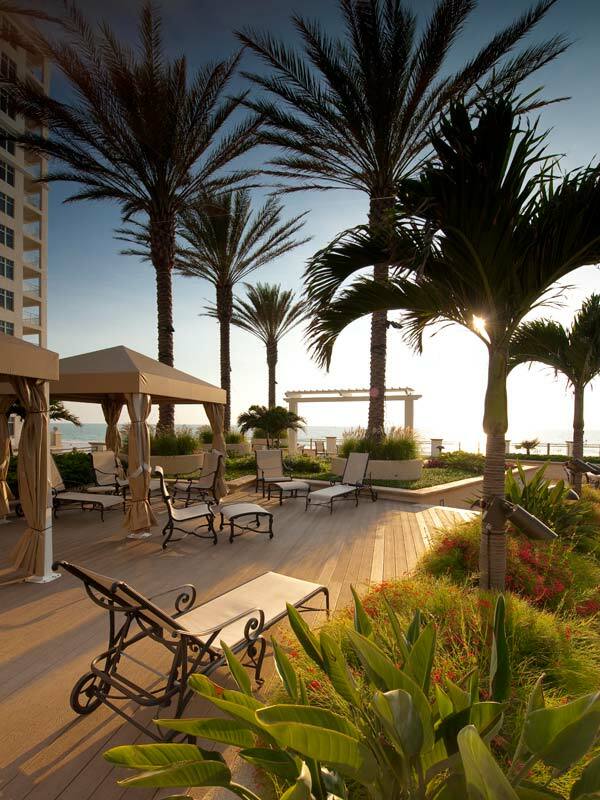 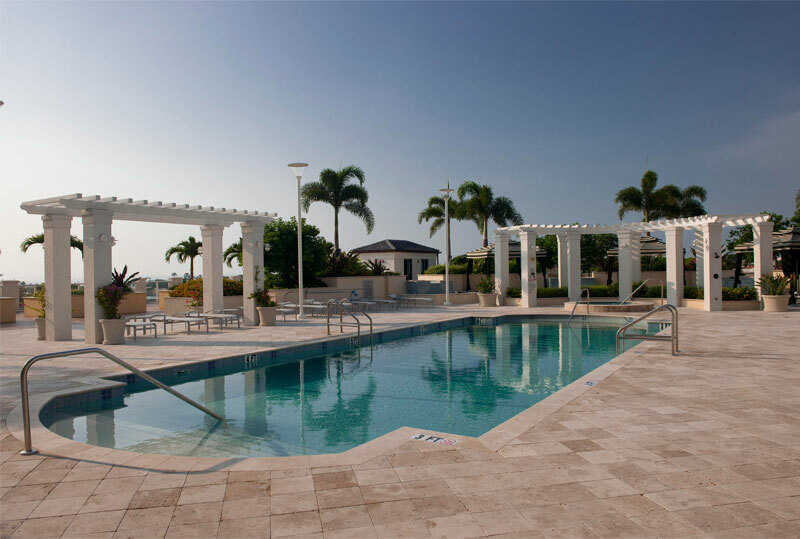 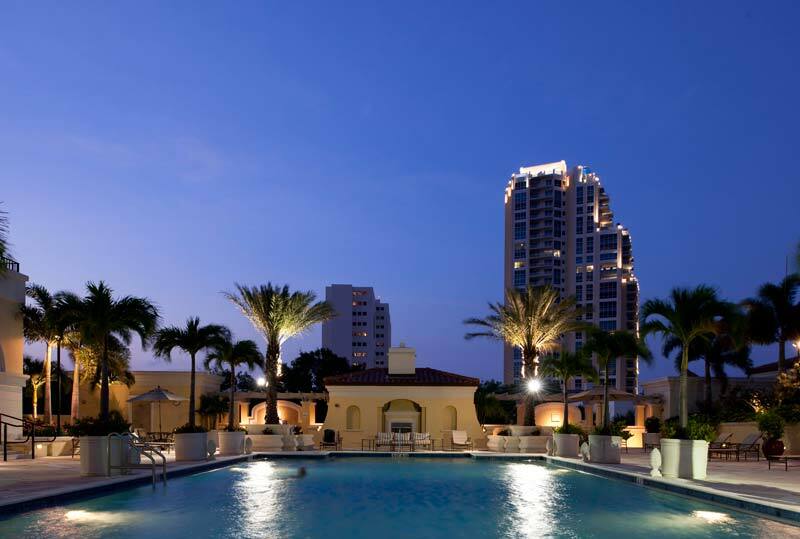 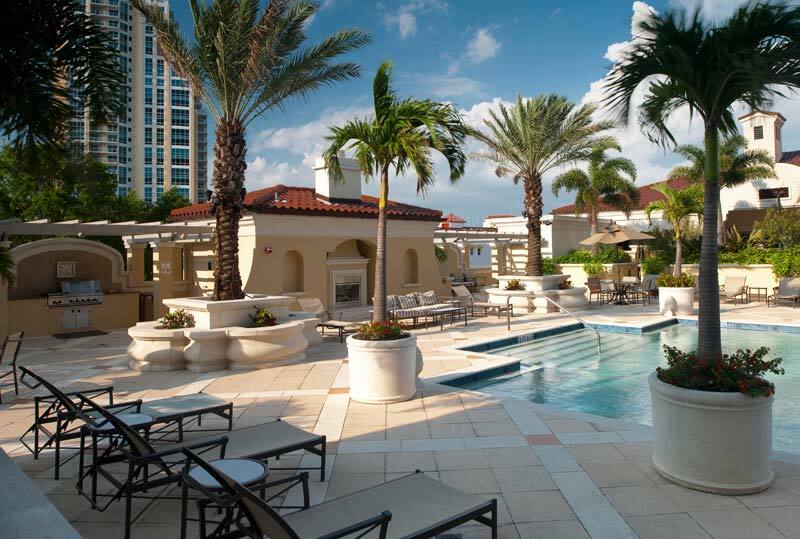 Parkshore Plaza is a luxury condominium along St. Petersburg’s popular Beach Drive. 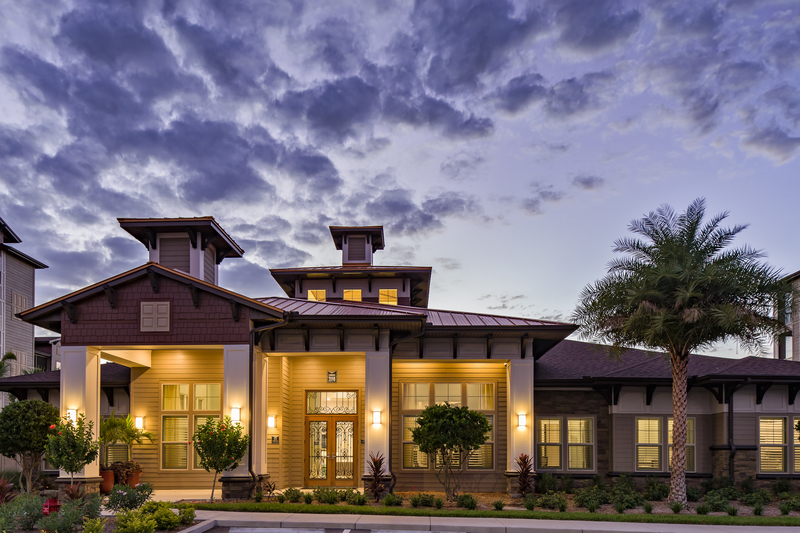 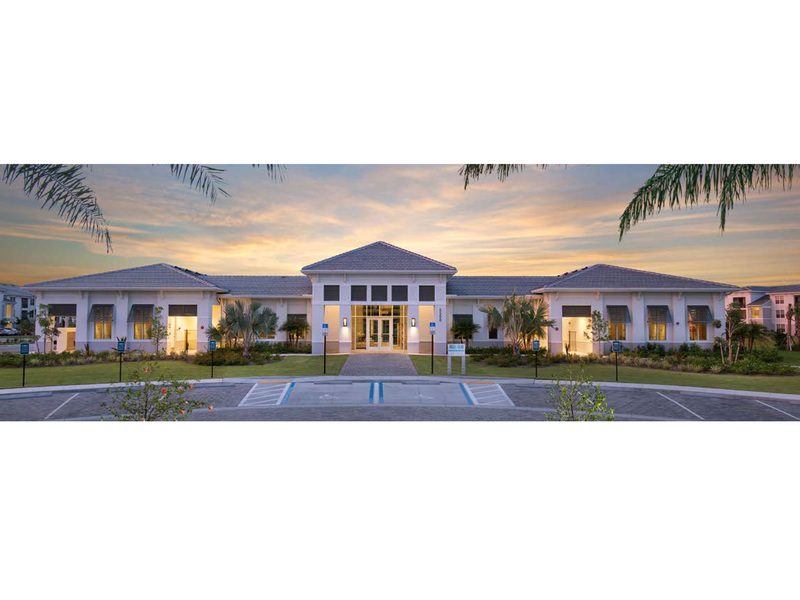 Our firm developed amenities in keeping with the project’s Mediterranean Revival-style architecture. 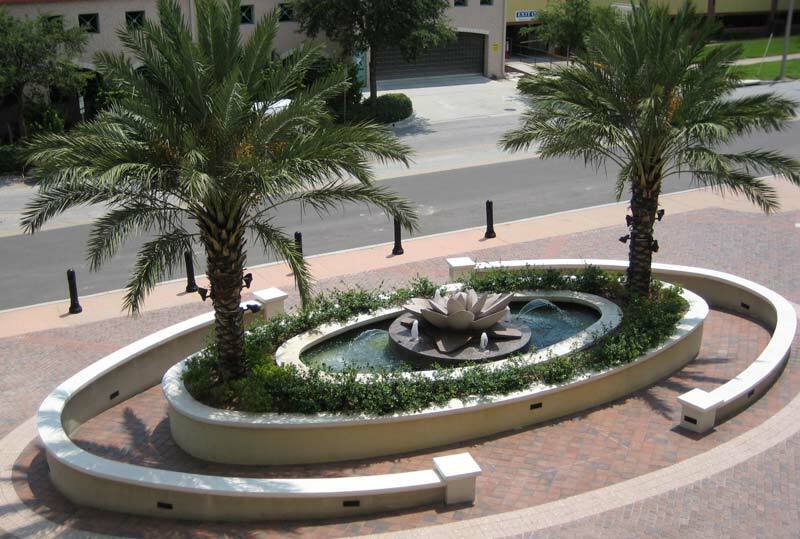 Gracious walkways lined with magnificent Medjool Palms surround the block with an elegant paving design that includes buffered zones, crosswalks and exterior lighting. 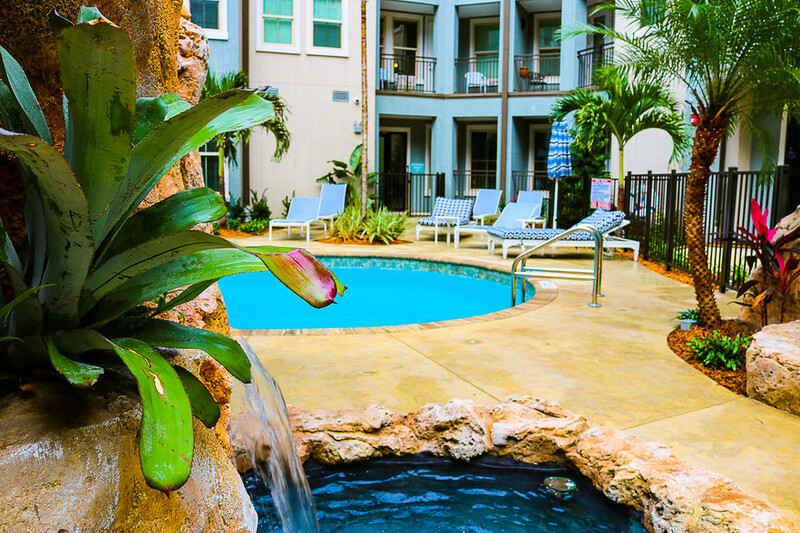 The pool are is lush and includes flowering pots, palms and a grill area. 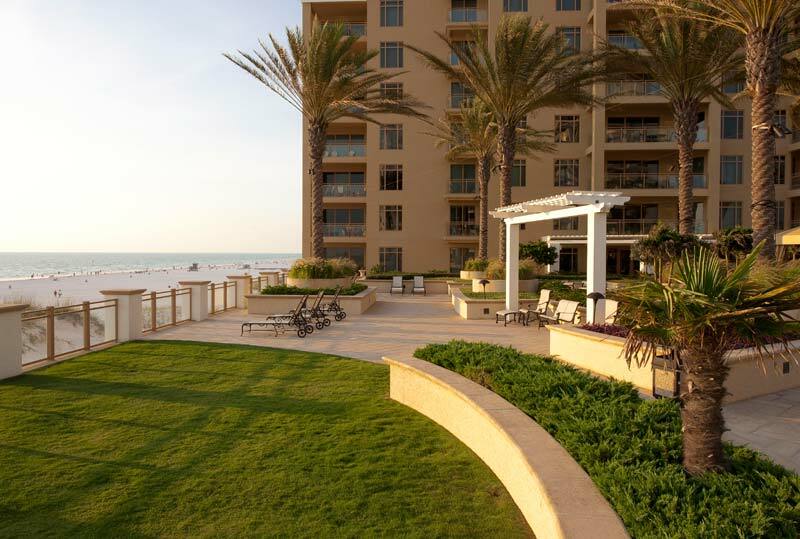 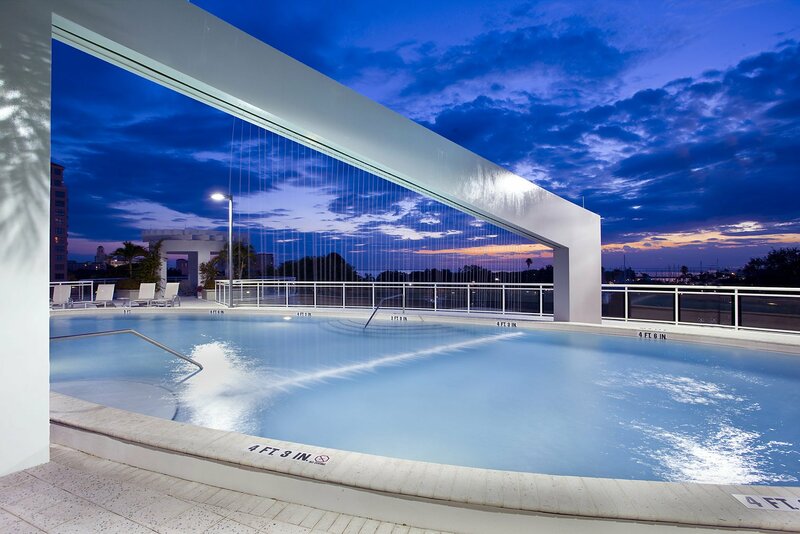 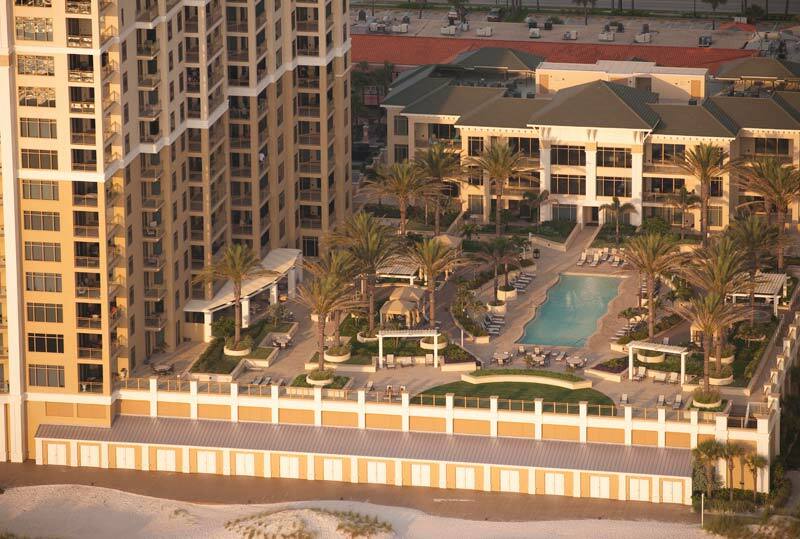 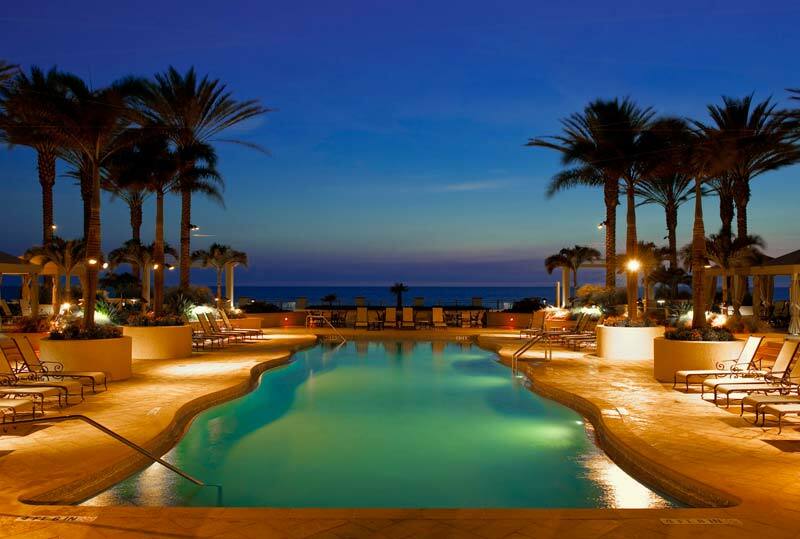 The Sandpearl Residences is an upscale condo located on North Clearwater Beach. 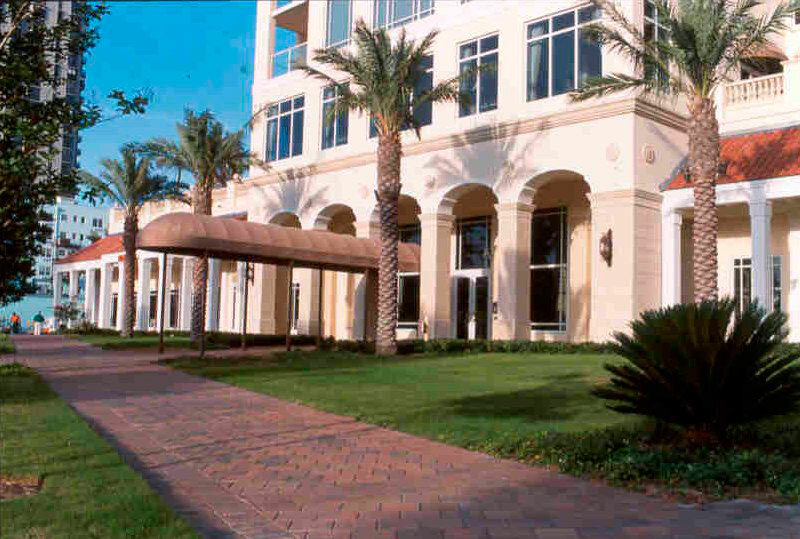 Our firm designed the entry sequencing on the ground floor complete with a retail component. 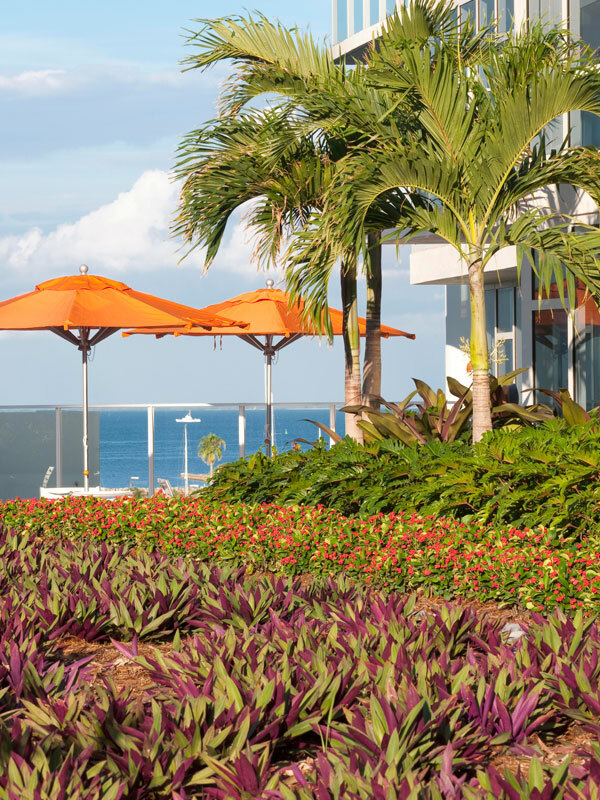 We created a luxurious, award-winning pool amenity for the residence that’s elevated to take into account spectacular views of the Gulf of Mexico. 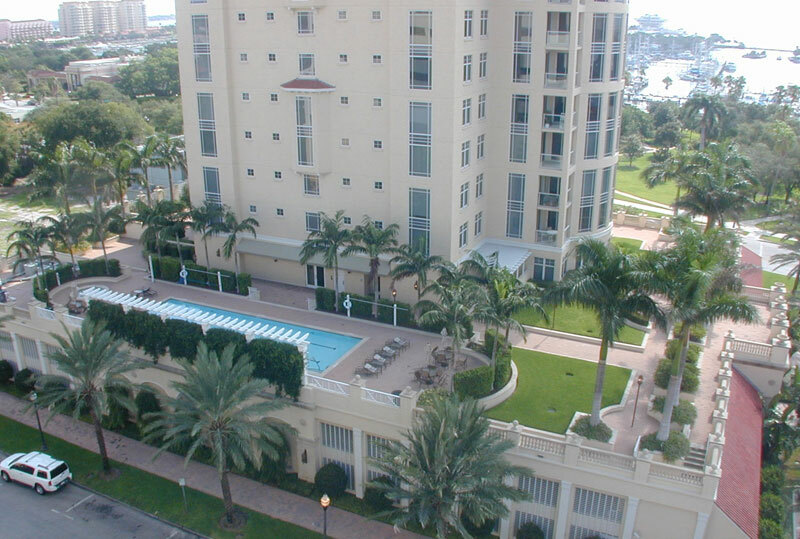 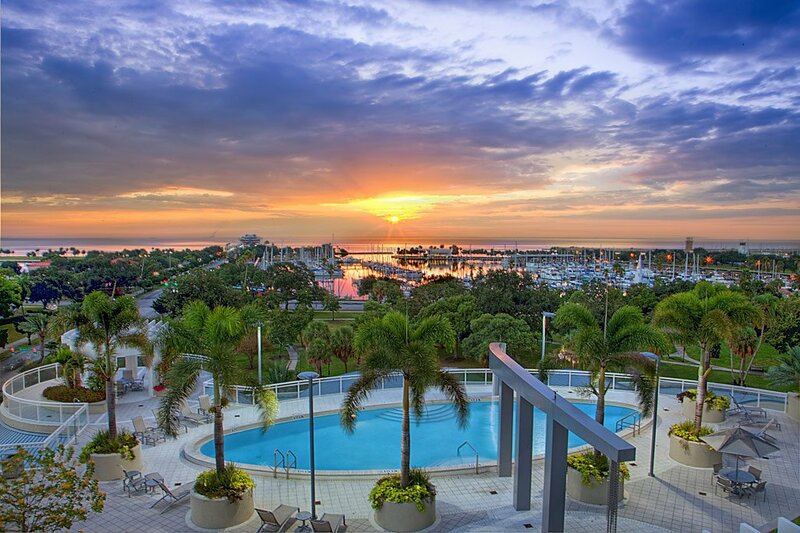 Signature Place is a contemporary condominium overlooking the City of St. Petersburg’s waterfront. 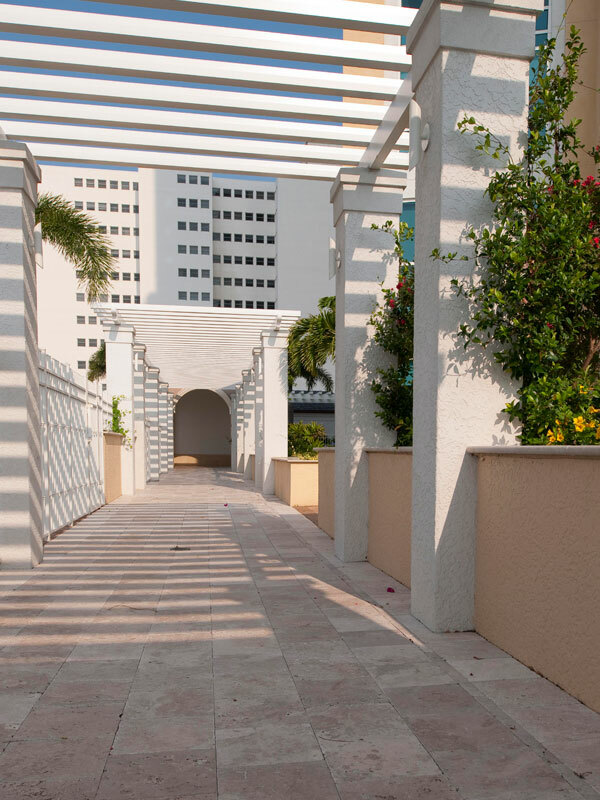 Surrounding the visually striking high-rise complex on the street level are magnificent Medjool Palms and various species of unique bamboo that soften the streetscape and accentuate the building’s architecture. 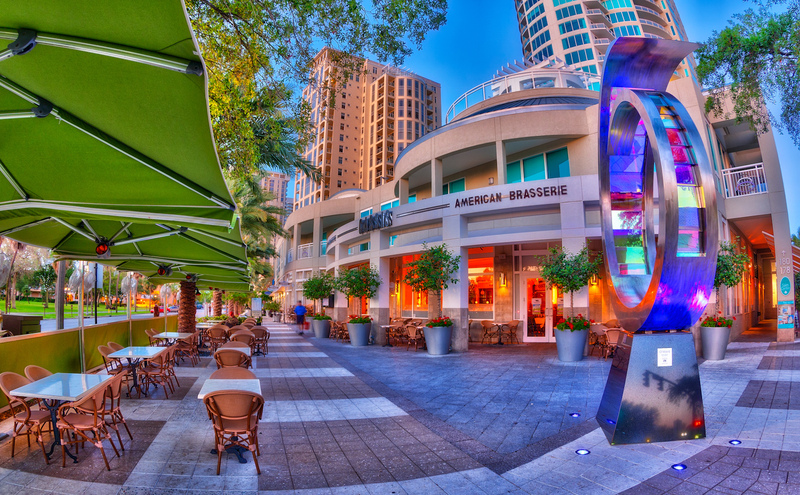 A five-story granite water wall provides visual interest and soft, white water noise near the café adds an oasis to the urban landscape. 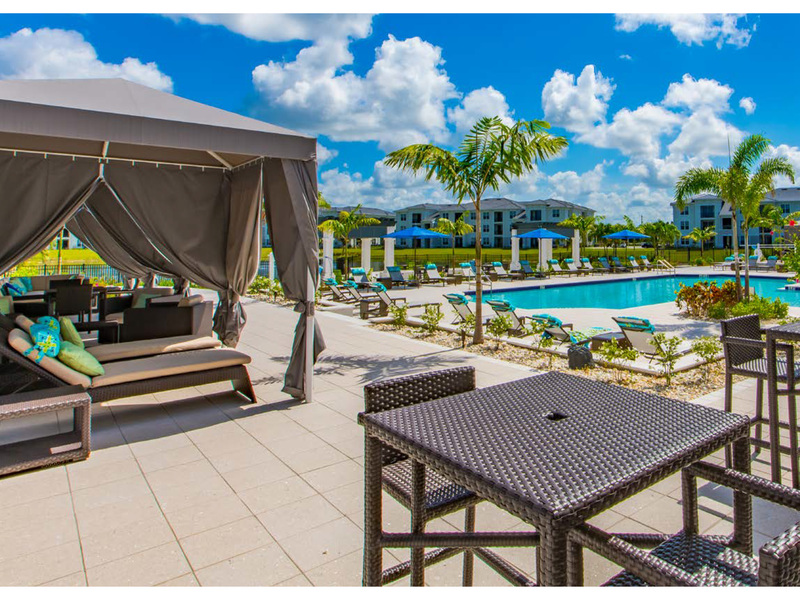 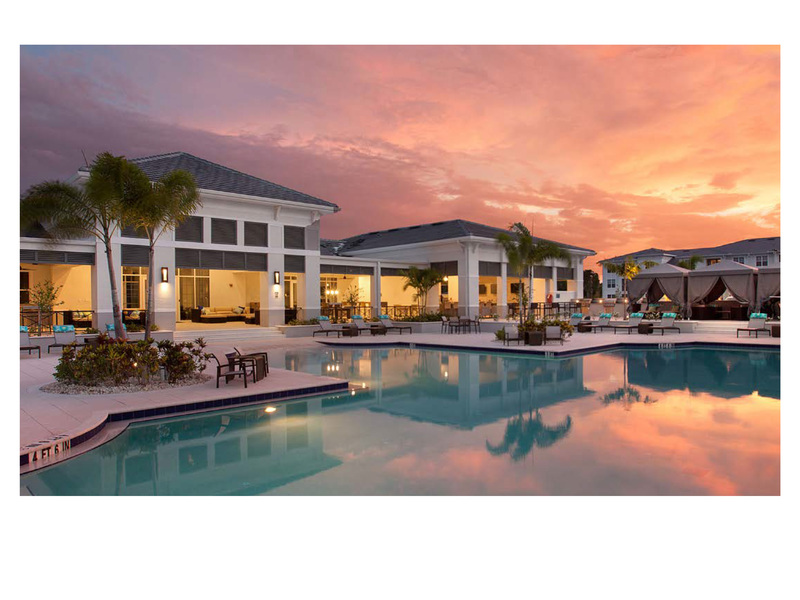 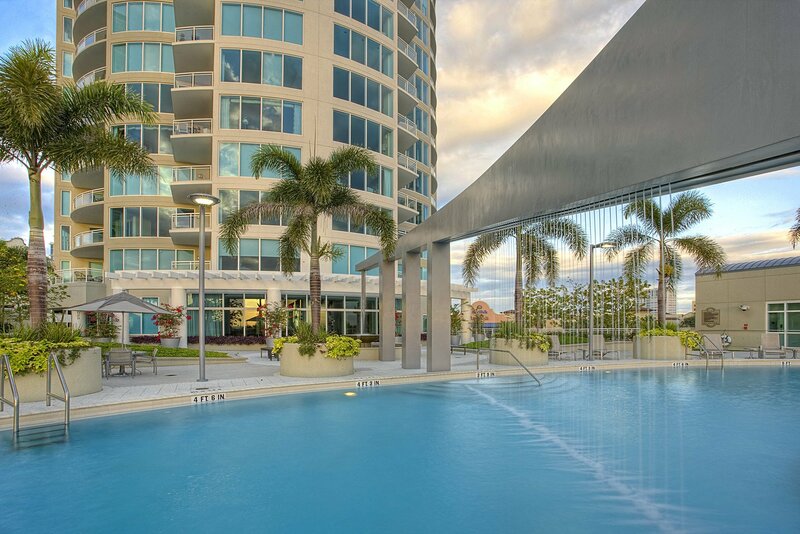 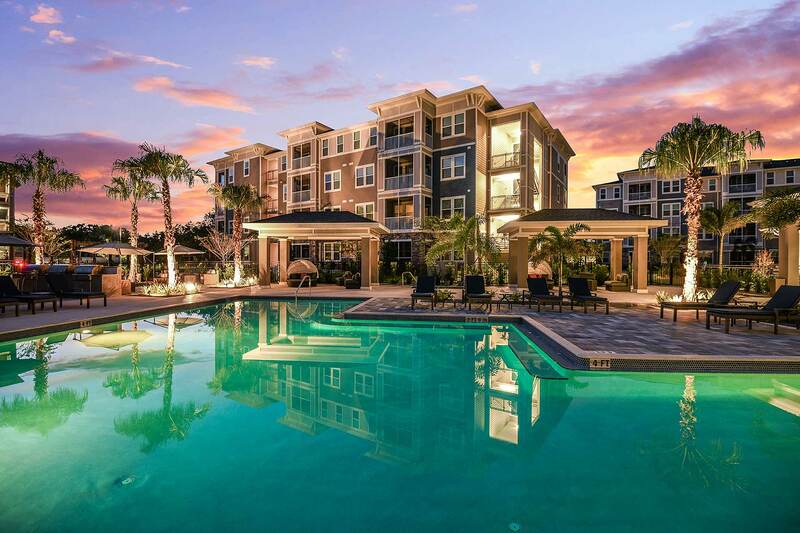 These apartments in Fort Myers, FL include resort-inspired amenities: a large pool with private cabanas, an outdoor lounge sundeck, a 6,000 s.f. 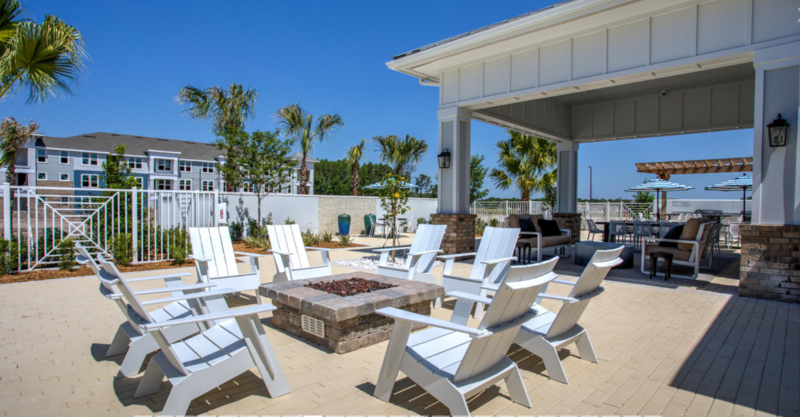 clubhouse and outdoor grilling stations. 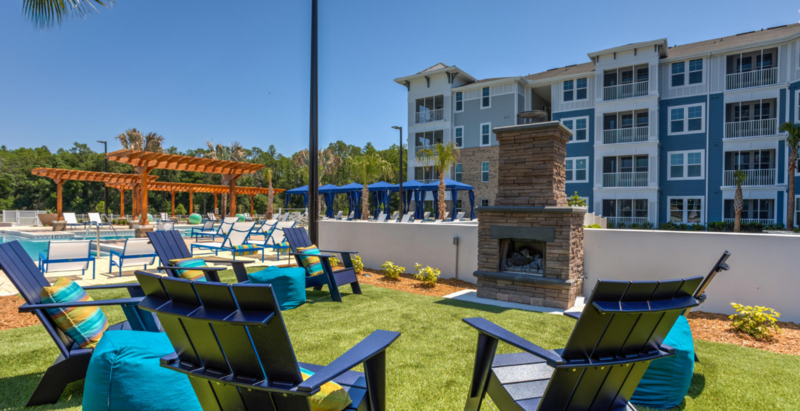 The six-acre site includes a park with nature trails, dog park, lake overlook, fire pit, tennis courts and tot-lot playground. 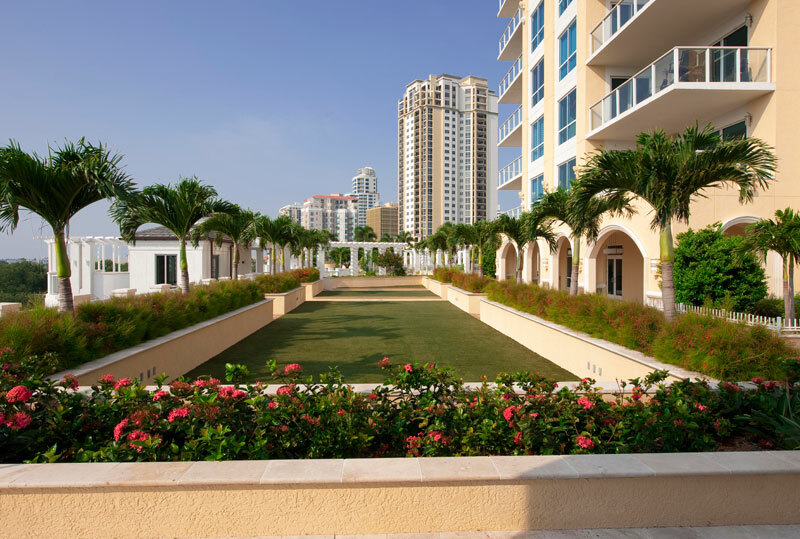 The gated entryway enhances upscale living in the heart of town. 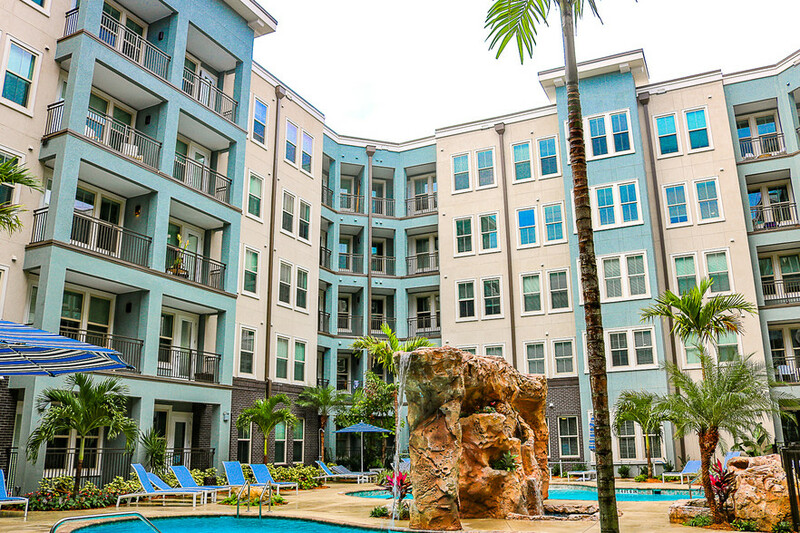 The Sage, located in downtown St. Petersburg, is a multi-story condo offering high-end amenities in a tranquil, gracious setting. 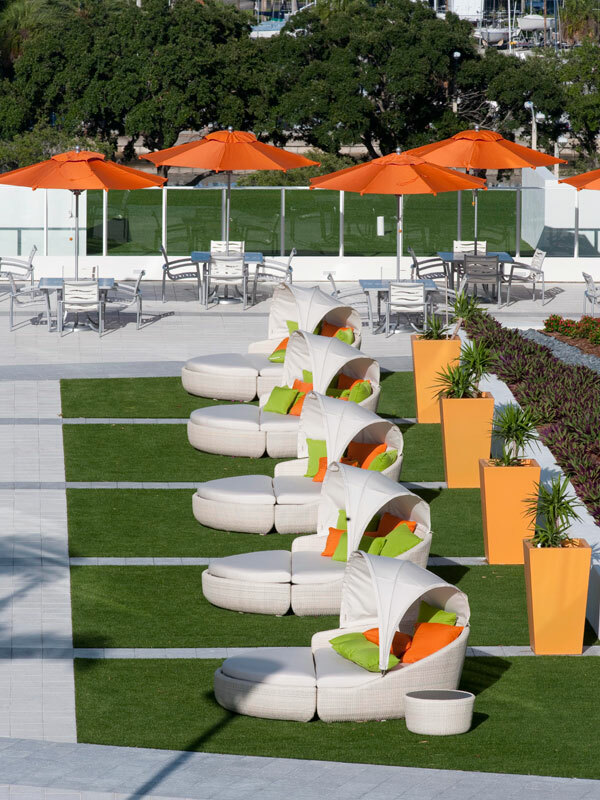 Our firm was involved in the design from the ground up. 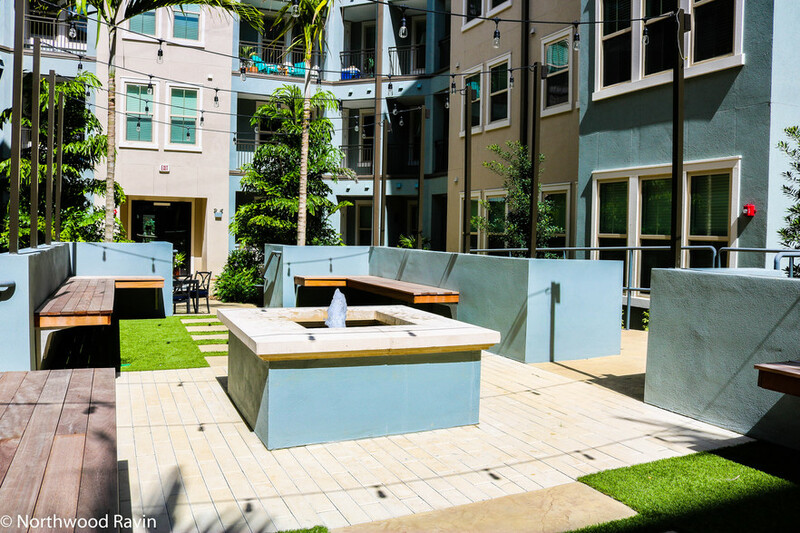 A fifth floor pool and terrace welcomes residents and a landscaped entry courtyard with fountain welcomes visitors and guest. 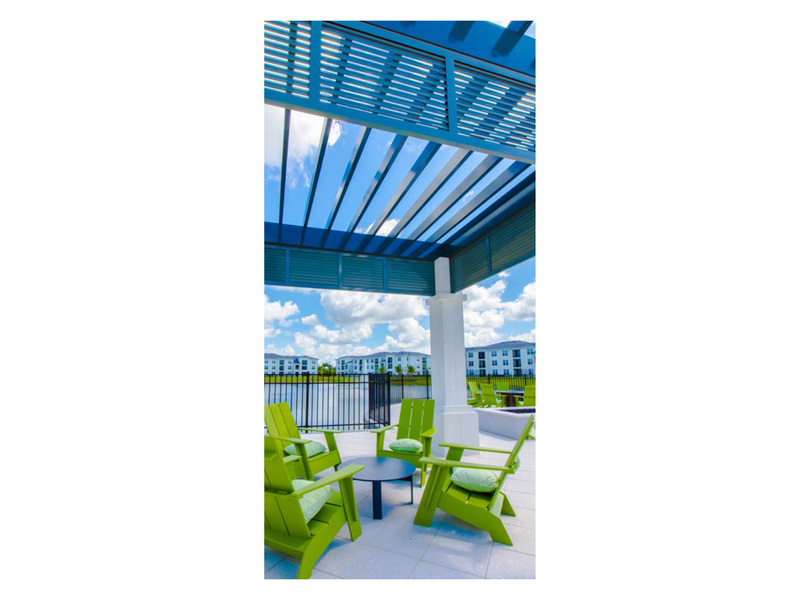 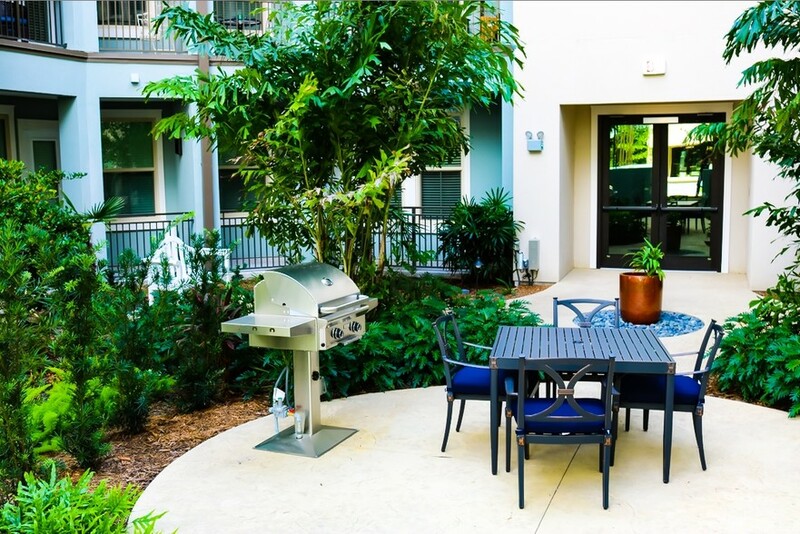 The sun deck includes a grilling area for residents to enjoy the sunshine.